The doors you choose in your home can make a great difference to its aesthetics. 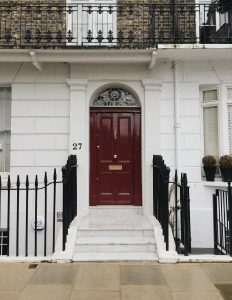 It is not uncommon for homeowners to want to make a statement in the entrance of their home and the doors that you have leading to and off form this point can help in setting the tone for the rest of the property. If you’re unsure what doors to choose in your home, keep reading. In today’s post, we take a look at various living room door ideas and the qualities they offer. Moulded panel doors offer versatility to homeowners. Coming in smooth and grained finishes, this type of door can complement a wide variety of decor styles and also become a statement piece in themselves. Additionally, versions of moulded panel doors can also be painted, ensuring you can make them completely unique for your home. Glazed doors allow for a seamless transition between rooms. If you are concerned about the lack of natural light travelling through your home, glazed doors with clear glass panes can offer a solution. Additionally, if you don’t want to completely separate two rooms, glazed doors will create a divide, without blocking the view to another part of the house. Bi-folding doors look great in a wide variety of settings. Bi-folding doors may be used in small spaces, where the homeowner doesn’t want the door to open outwards or inwards. Additionally, the number of panels used in bi-folding doors can be customised, depending on the side of the space, offering complete customisation. The team at Williams Windows are door and window specialists. We offer various styles and an insurance backed guarantee on all of our products. Browse our website for more information on our products, or call our dedicated team today on 0208 428 5433 or send your enquiry through to our online contact form.